I'd always wanted a special fireplace that would integrate my sculptures. And before ever turning my hand to sculpture I was fascinated as a kid by architecture. When I moved to this West Sussex house, the existing fireplace of the 1910's had been messed about with in the 30's, with out of place pink bathroom-style tiles, etc... After discarding this, I was left with a bare chimney breast, with some exposed brick surrounding the hearth itself. Onto these I nailed a bunch of masonry nails, a wooden batten and some chicken wire... and using some casts from my existing stock of moulds (previous bronze commissions), I happily went to town creating this very high-impact feature. I like to work directly with clients, or with an interior designer, or with anyone involved in architectural design to produce more and different fireplaces with this "Spirits of the Hearth" theme. I can travel anywhere in the world to create a "Spirits of the Hearth" type of fireplace for you. Or indeed any other wall relief artwork on the same principle. You can select the faces you want from my portfolio. Or you can commission me to create new sculpture busts or portraits in bronze (minimum: 2), and then I'll create a fireplace or wall relief using plaster casts from these moulds - creating a piece that will be appropriate to your interior design - I am also happy to work with your architect. The fireplace can be left in raw plaster as shown in this picture or can be finished with special paint effects such as a "faux" marble effect, "faux" wood grain effect, etc. Simply e-mail me or call me to discuss your requirements. 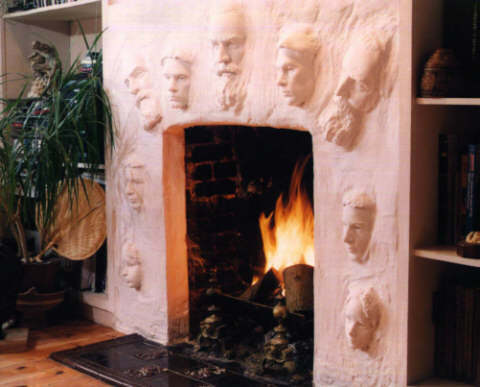 Prices will vary depending on size, but as a guideline, a fireplace using my existing moulds and approximately the size of the one pictured above (140 cm x 150 cm and 10 "Faces") starts at $1600 (or 1000 pounds sterling in the UK) in raw plaster plus my travelling and accommodation charges for a 2 day stay minimum. 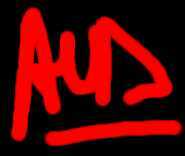 I can help you find a special finish painter in your area if required. If you wish to commission sculpture busts or portraits in bronze which will later be integrated into a fireplace the price, simply fill our the enquiry form. Prices quoted will include original artwork, and the finished lifesize bronze or bronzes. Does not include travel expenses (which may be minimal depending on where I am), the base (can be slate, marble, wood, or bronze to suit the sculpture) or costs of shipping the bronze to you when cast.